Back cover blurb: When Elise Perez meets Jamey Hyde on a desolate winter afternoon, fate implodes, and neither of their lives will ever be the same. Although they are next-door neighbors in New Haven, they come from different worlds. Elise grew up in a housing project without a father and didn’t graduate from high school; Jamey is a junior at Yale, heir to a private investment bank fortune and beholden to high family expectations. Nevertheless, the attraction is instant, and what starts out as sexual obsession turns into something greater, stranger, and impossible to ignore. The unlikely couple moves to Manhattan in hopes of forging an adult life together, but Jamey’s family intervenes in desperation, and the consequences of staying together are suddenly severe. And when a night out with old friends takes a shocking turn, Jamey and Elise find themselves fighting not just for their love, but also for their lives. 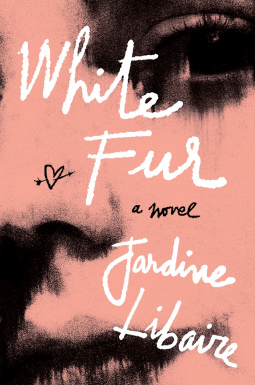 White Fur is a novel like no other I've read of late. It is gritty, desperate and obsessive. Elise Perez is what the American's might call 'trashy' and her neighbour Jamey Hyde 'the most eligible country club bachelor'. Their worlds could not be more different, but a chance encounter with her neighbour sees Elise becoming infatuated with him. Eventually Jamey gets the hint and take Elise on a 'date'. Neither of them is prepared for the other. Not only are their backgrounds worlds apart, but so are their ideas about what is socially acceptable behaviour. None of this matters however because although he hasn't yet realised it, Jamey has fallen as hard for Elise as she has for him. Society would tell us that their love is doomed from the start, and usually they would be right. But Elise and Jamey are both used to getting what they want, albeit via different methods from the other. As the pair move away from their friends in New Haven and move in together, their love for each other becomes stronger. Until one night a tragedy sees them in a much worse place than either of them ever dreamed they could be. White Fur is a brilliant novel. A little crazy, and a lot different to my usual read, but I thoroughly enjoyed the time I spent on it. White Fur is available now via Amazon online and all good shops. Thank You to the publishers who invited me to view this title via netgalley in exchange for an honest review.